Very convenient for cementing posts in a canal. It is far superior to just “spinning” a reamer or periodontal probe in the canal to place cement. 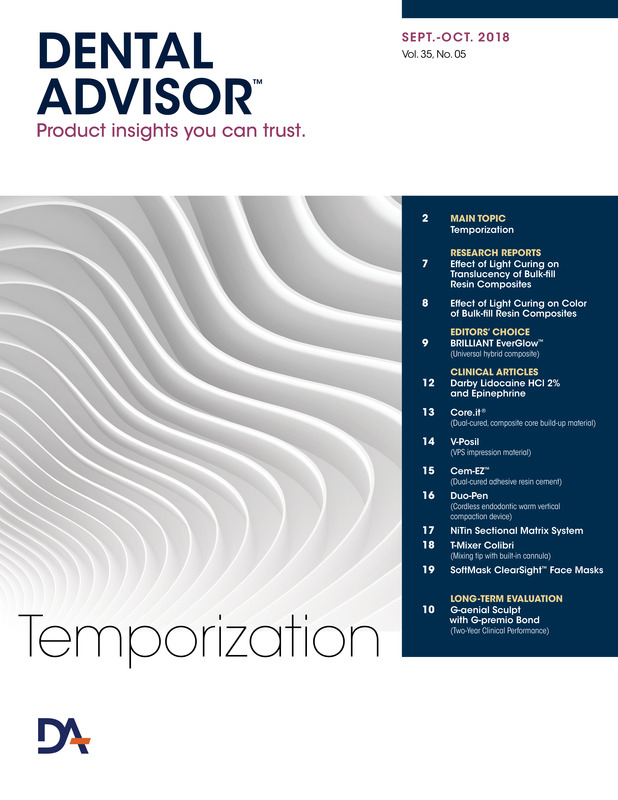 The smaller tip size produced more accurate dispensing of the material and less waste. 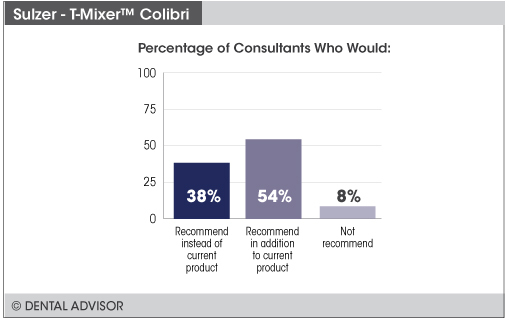 T-Mixer Colibri Plus was evaluated by 24 consultants, with a total of 395 uses. 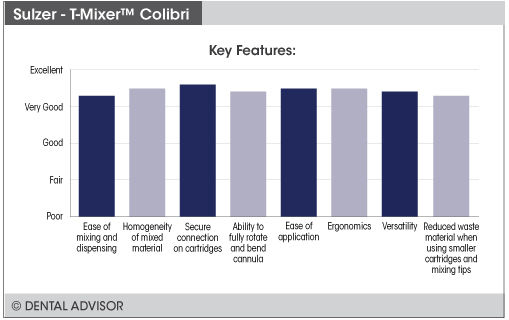 T-Mixer Colibri consists of a mixing tip with a built-in cannula that is used to directly dispense the material at the clinical site. The cannula is constructed of smooth, round medical-grade stainless steel for safe application in the gingival sulcus and root canals, and it can be fully rotated 360° for easy access to sites. The cannula is also bendable, while maintaining a constant inner diameter for consistent flow of material from the tip. 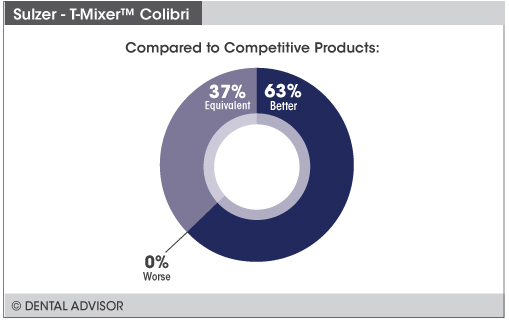 The T-Mixer Colibri plus MBT 4.2-12-N11 is fully compatible with MIXPAC cartridges containing 18 to 75 mL of material. 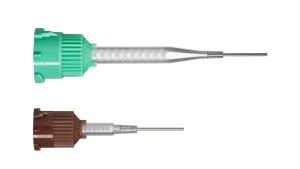 Three other mixing tips with cannula are available – the T Mixer Colibri MLT 2.5-10-N09, MLT 2.5-10-N11 and the MLT 2.5-10-N14. These three sizes are fully compatible with MIXPAC cartridges containing 2.5 to 10 mL of material.